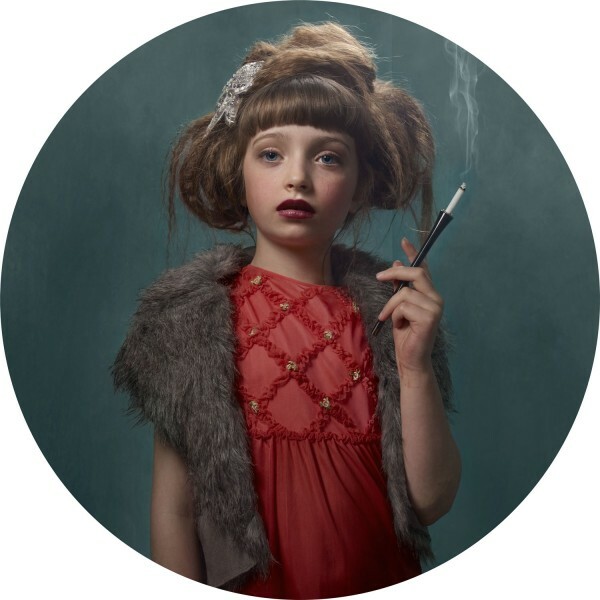 "A YouTube video of a chainsmoking Indonesian toddler inspired me to create this series, "Smoking Kids". 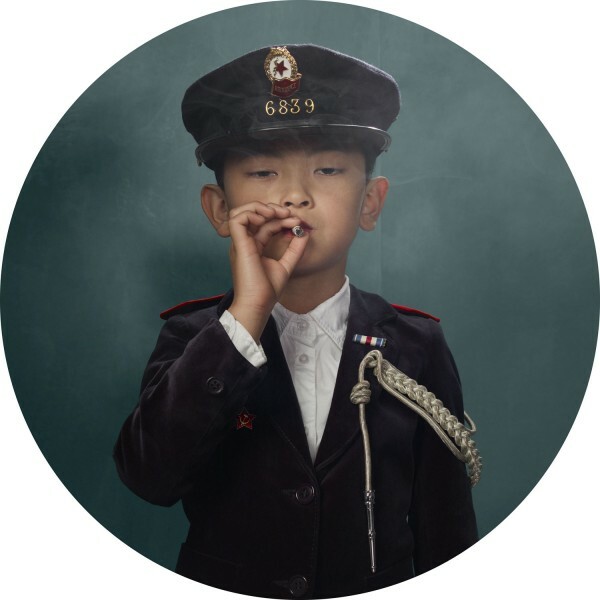 The video highlighted the cultural differences between the east and west, and questioned notions of smoking being a mainly adult activity. 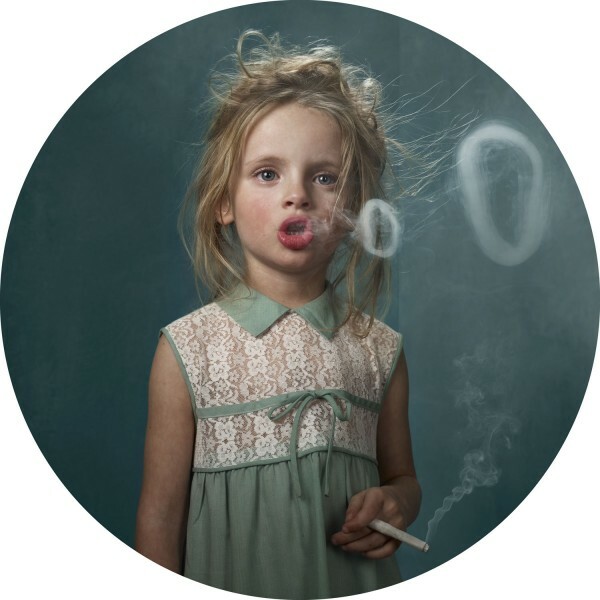 Adult smokers are the societal norm, so I wanted to isolate the viewer's focus upon the issue of smoking itself. 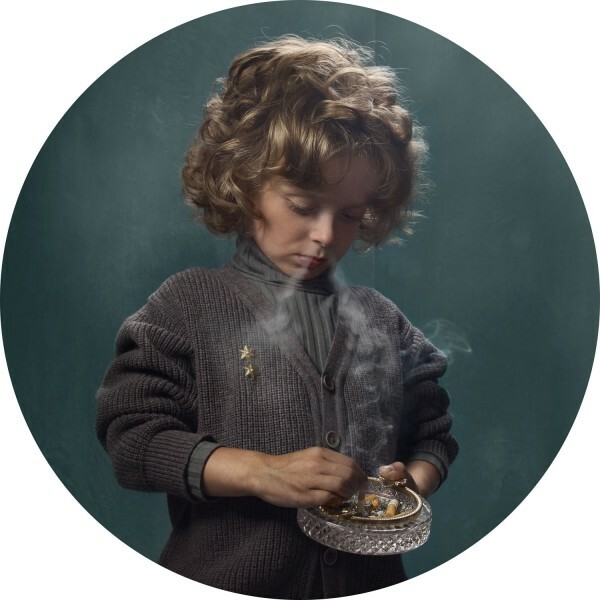 I felt that children smoking would have a surreal impact upon the viewer and compel them to truly see the acts of smoking rather than making assumptions about the person doing the act. 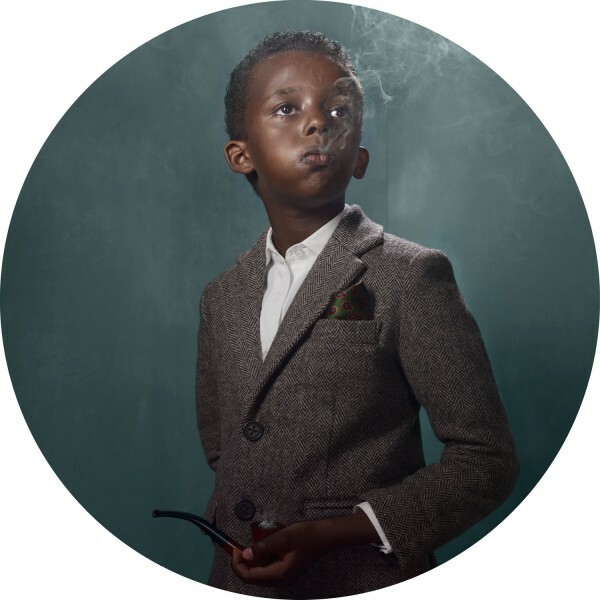 Coincidentally around the time of the "Smoking Kids" gallery opening, a law was passed, and smoking has been banned from Belgian bars. There was an outcry from the public about government intervention, feelings that freedom was being oppressed, and that adults were being treated like children. 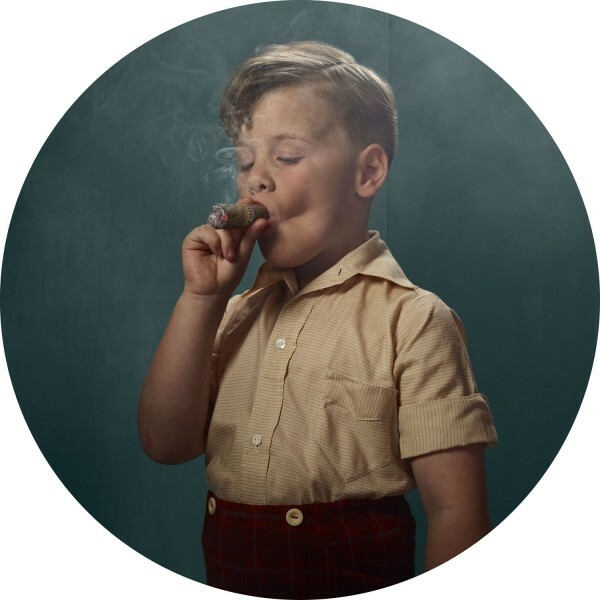 With health reasons driving many cities to ban smoking, the culture around smoking has a retro feel, like the time period of "Mad Men," when smoking on a plane or in a restaurant was not unusual. 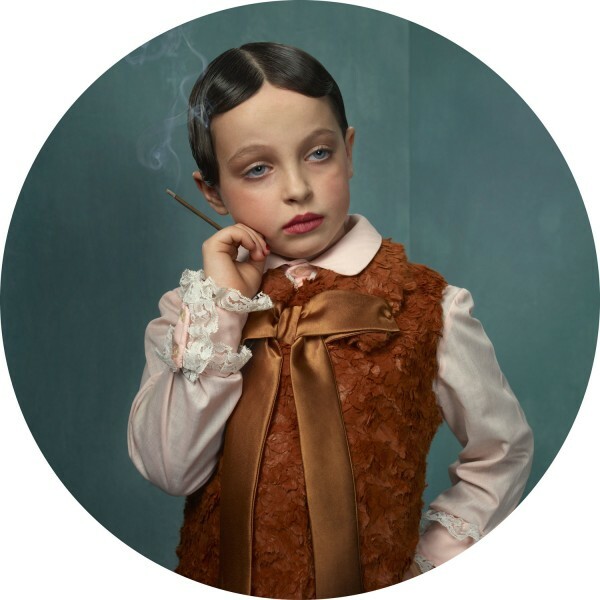 The aesthetics of smoke and the particular way smokers gesticulate with their hands and posture cannot be denied, but among the different tribes of "Smoking Kids," - Glamour, Jazz, and The Marginal - there is a nod to less attractive aspects, on the line between the beauty and ugliness of smoking. 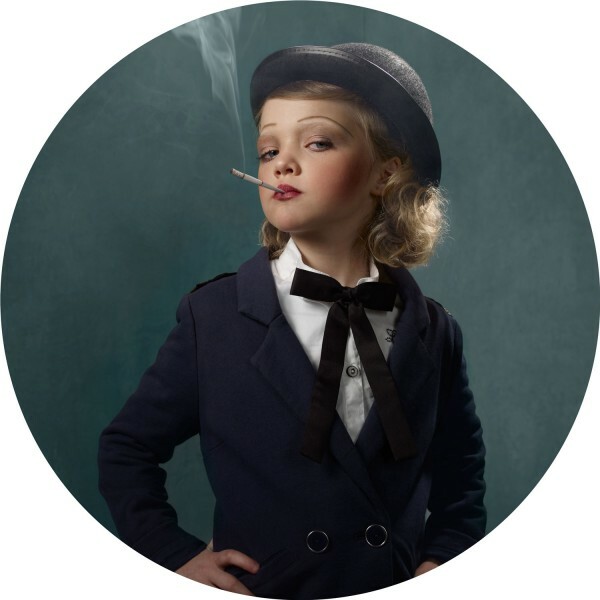 To assure you of the safety of the children, there were no real cigarettes on set. 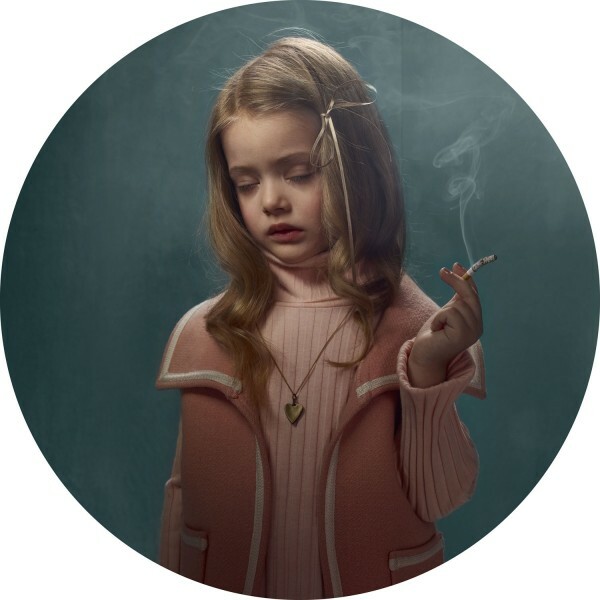 Instead, chalk and sticks of cheese were the prop stand ins, while candles and incense provided the wisps of smoke."